First of all, I’d like to welcome you to this meeting site for coffee and brunch lovers. The author of this blog is me, Claudia, an Italian living in Barcelona. Originally from Sardinia, I’ve been living away from the island for years now – years in which I’ve been able to learn lots of languages while living in different countries and experiencing lots of different cuisines. At the end of 2012, after a year and a half in Barcelona, my interest in brunch was born, although at that time there were no more than 10 places in the city that had dared to introduce this completely unknown concept. In 3 years I’ve tried 65 different brunches all round the world. That’s like a brunch every Sunday for a year and 3 months. I love traveling and now brunch has become a new excuse to travel even more. I’m lucky to live in Barcelona, which allow me to travel easily through Europe and in a cheap way thanks to skyscanner. This is the map with the pins on every brunch place I have visited so far. A little freak, uh? Recommendations to brunch in Barcelona and brunch in Barcelona*. Brunch recipes, mostly healthy brunch recipes. 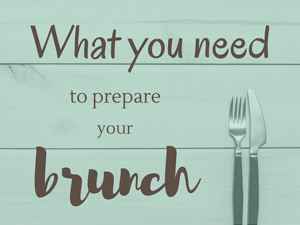 Advice on preparing a home-made brunch that will amaze your guests. Advice on decorating your brunch table. Information on the theme of coffee and specialty coffee. Recommendations of great cafes in Barcelona. Where’s the best place to have brunch in Barcelona? How you became a brunch freak? If you are curious about my guest blogging and you want to know who has been talking about Coffee & Brunch, you can read the page featured, interviews, guest blogging. Btw, do you know that if you subscribe to the blog you will receive 2 presents? Don’t forget to follow me also on social media for more friki thoughts on coffee and brunch. At the bottom of this page, on the right, you will find all the icons with links.